Hello friends. have you recovered from Thanksgiving's over indulgences? 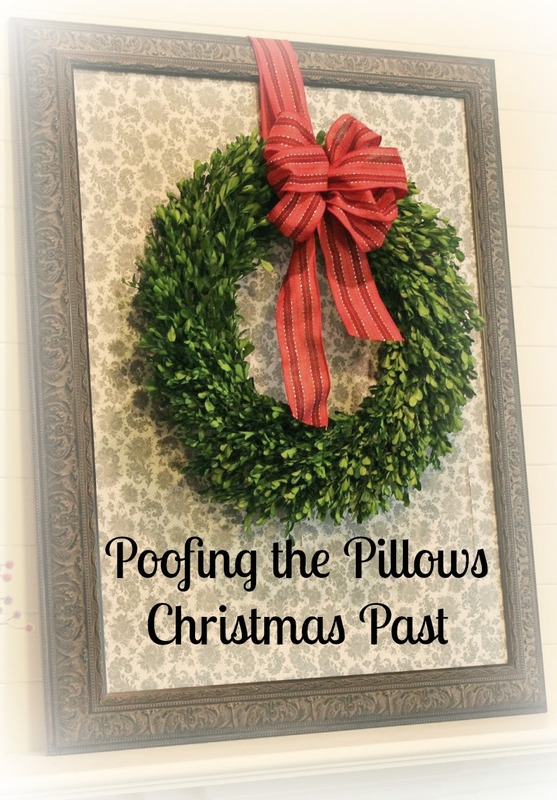 Today we are visiting a few posts from Christmases past here at Poofing the Pillows. Let me just say, thank goodness for improved photography skills! and as a reminder of how far we've come taking pictures. The time I hosted a tiny little Christmas party. We planked our mantel just in time for Christmas! It's fun to look back at how things change and how they stay the same. 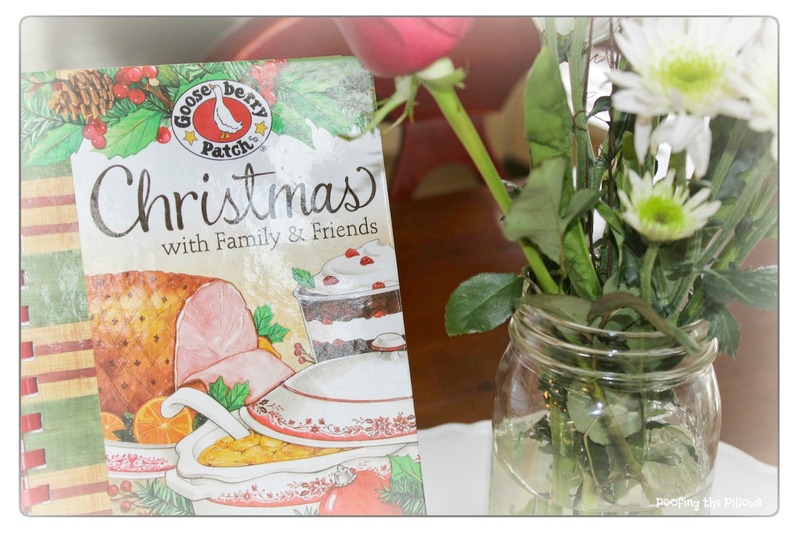 Counting my blessings this holiday season. 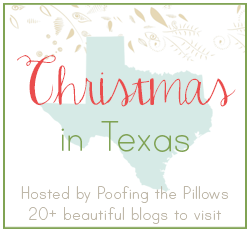 Christmas in Texas blog hop starts December 4th. 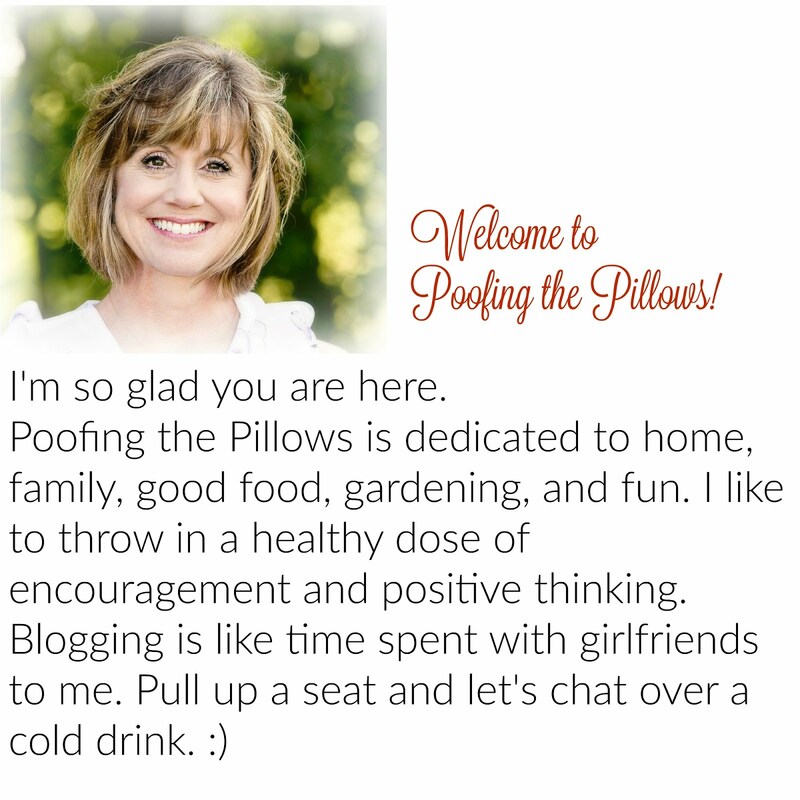 Stacey, love, love the pillow.....so charming. Always fun to look back. Love the pillow and the framed wreath!! I really love your planked mantle, too! Your bits of red and sparkle are perfect for the season! We have been decorating all weekend so though we are cleaned up from Thanksgiving and the house is mostly done except for our main tree and the girls' tree in their room, we are done but let me tell you we are exhausted. Time to rest. I love that pillow by the way and thanks for sharing. Hi Stacey!!! Great photos! 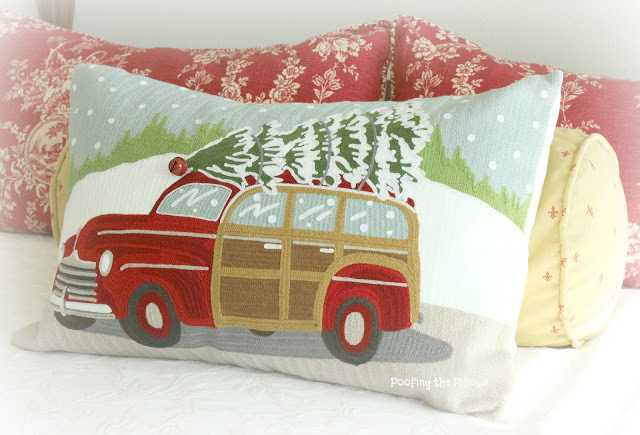 I just love the pillow and framed wreath! Your post has gotten me in the Christmas Decorating Spirit! Have a wonderful day!!! Love your planked mantel. Love that pillow too. Looking so cute. Your mantel looks so good! And the wreath is perfect there! Thanks so much for taking us on a quick tour of your Christmas home! I *need* that pillow! Your pillows and mantel are very pretty. 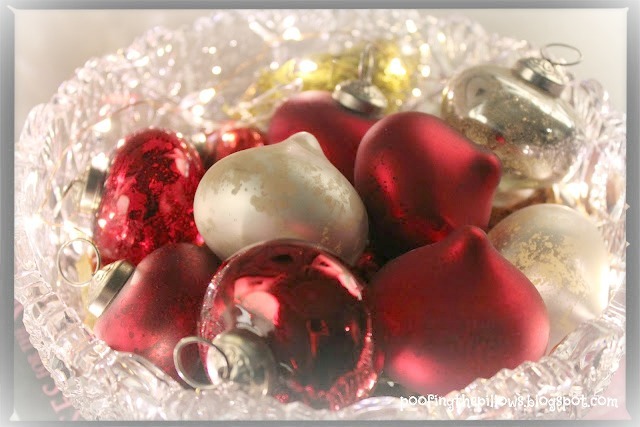 Now you have to look ahead and share your new Christmas decor with us for this year. Happy start to the holiday season. Treasured memories...love the decor and your photos are fine! I love looking at photos of our past Christmases. I'm really looking forward to the tour. Our oldest son and his family live in Texas and his wife was born and raised there. Everything is so pretty, Stacey, and the cake is yummy looking I love looking back, too. Sometimes I get ideas and other times I jog my memory with ways I decorated that I had forgotten! Hi Stacey I love all your photo's from past until now..your home is so lovely. Have a wonderful week..in your beautiful state of TX. Love that pillow and your mantle! Christmas past was lovely! I am working on Christmas present at my house today. Love all the visits from Christmas past! :-) Looking forward to Christmas present...can't wait to see all of your beautiful decorations!! Hugs!! Thanks so much for telling Me about the cyclamens!!! Appreciate it!!! Do you grow them? I was just checking in to see when you Texas gals were showcasing Christmas. I am so glad it isn't for a few days because I am behind in all aspects of my life and now I have a few days to catch up before I visit Texas! December already! Hope you have a lovely month, Stacey. Sounds like good times! Lovely mantle and xmas pillow! 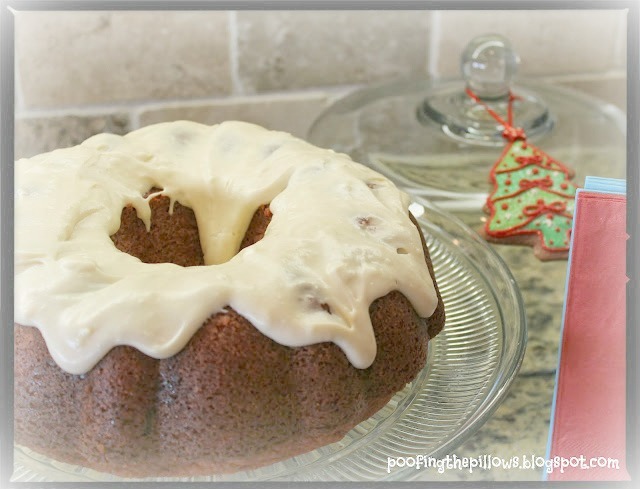 So nice to see your Christmas past and catch up on posts that I missed! It was all beautiful and I think your photos were great!! Can't wait to see your upcoming Christmas post! I remember your tiny little party. I think your pictures look great! It is amazing how much we learn as far as blogging, computers, cameras, decorating, ... and the friendships we make. everything looks so gorgeous. 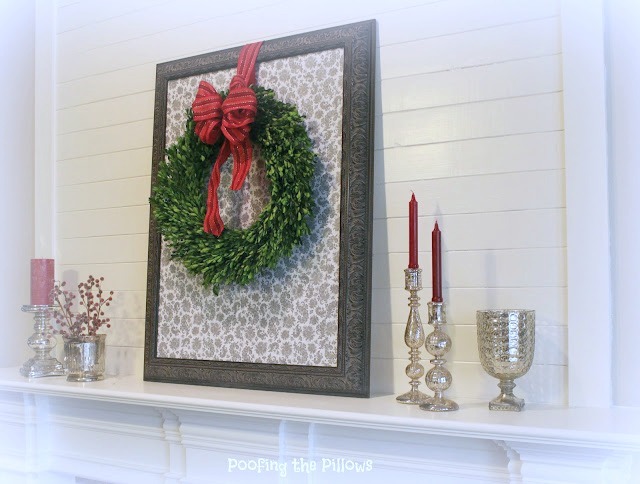 Your mantle is so pretty and the perfect backdrop for the Christmas decor.